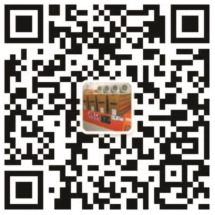 Foshan Fu Lin Machinery Manufacture Co., LTD., located in Shunde District, Foshan city, was founded in 2003, is the main Shunde-gov-supported enterprise of "Star Project", mainly provides the relevant machines or technical services for Tin-printing & Can-making industry. We’re specialized in manufacturing the Tin-printing UV Curing Machines (till 2016, we’ve sold out over 400+ sets), the Automatic Leak Testing Machine (Till 2016, we’ve sold out over 300+ sets), the Automatic Alcohol Dampening System, the Chargeable Rail Car, the Automatic Flange Pail Palletizer (Stacker) etc.. We also offer the service for staff-training, machine-maintenance & moving. Equipped with professionally trained mechanicians, engineers, sales, after-sales & site-staffs, we can always offer you a more precious machine with better service. Since the establishment of the company, so far, we’ve provided machines for over 400+ clients, and machines has been exported to countries(or areas) like UAE, India, Indonesia, Vietnam, Thailand, Malaysia, Philippine, South America, Turkey, Yemen, Brazil, South Africa, Japan, Russia, Serbia, Australia, Greece, Egypt, Bangladesh, Singapore, Taiwan (China). We’re always prepared to offer you qualified products with better service!